GRIND PULP PODCAST: Grind Pulp FICTION Podcast 42.5 - It's MILLER Time! 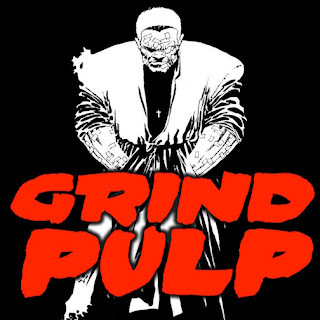 Grind Pulp FICTION Podcast 42.5 - It's MILLER Time! In this episode the team diverge from routine and instead discuss the three remaining volumes in the Sin City library not adapted into film. MangaMatt gives his all as he pontificates on author, Frank Miller, and the trends and style choices in his works. Jeronimo and Andrew find it hard to recall specific short stories, as many meld into the overall world of crime-ridden, Basin City. All leads bring them to the final showdown of "Hell and Back,” the last and most radical Sin City story in the pantheon. Guzzle booze, squeeze a broad, and bite the bullet in this all-inclusive Grind Pulp Podcast exploration of a legendary run by a writing great.